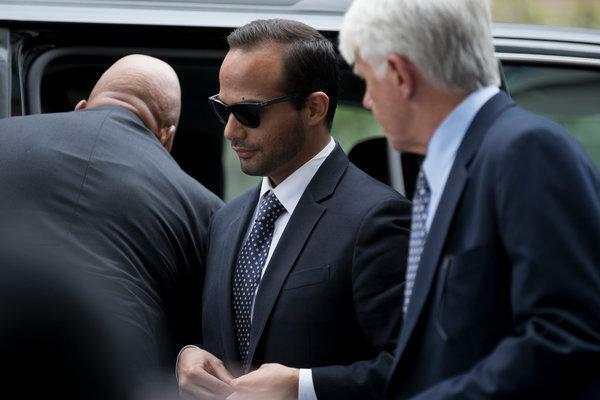 George Papadopoulos, the former Trump campaign adviser who sought to broker a meeting between Donald Trump and Vladimir Putin during the 2016 presidential campaign, was sentenced to 14 days in prison and 12 months of supervised release on Friday for lying to the FBI about his contacts with foreign nationals during the campaign. He will also have to complete 200 hours of community service and pay a fine of $9,500, as CBS News reports. Papadopoulos is the first person who faced criminal charges related to interactions between Trump campaign associates and Russian interests during the 2016 presidential campaign.